Creative work is highly subjective and I have always done my best to focus on the positive qualities of creative people and ideas, even when I dislike the concepts. I try to understand different perspectives because life is more interesting with a variety of perspectives. Still, when something is absurd — you have to point it out. I refer specifically to a recent TV commercial from Little Caesars targeting the Hispanic market. It features an Anglo family trying to decide which of two pizza restaurants they should eat at — Little Caesars or, as the mom puts it, a restaurant where they can get a pizza with less toppings for more money. Then all of a sudden, the car, seemingly under the control of a baby girl in the back seat with a fake steering wheel, splits in half and drives toward Little Caesars, leaving the mom behind. Huh? What’s the reasoning behind this absurd situation? Where’s the meaningful connection with the consumer? To me, the commercial comes off as random — which is certainly consistent with Little Caesars’ brand in English language advertisements. However, it’s entirely unrelatable to the Hispanic audience and bears no sense of authenticity or connection whatsoever. What’s more, the Hispanic version of the commercial is simply a direct translation of the brand’s English language “Car” version of its “ExtraMostBestest” ad — a cardinal sin in marketing to Hispanic audiences. Additionally, the Hispanic version of the ad features the Anglo characters speaking a crude, hard-to-understand Spanish. And while this is a subtle nuance, it’s an important one and rather insulting to Hispanic audiences. Perhaps Little Caesars wasn’t able to find Anglo characters who could speak Spanish decently in the casting sessions, and so they just had the actors do the best they could in the Spanish voice-overs — who knows? But why not just hire Spanish speaking voice actors? It makes little sense. I’d like to think these problems resulted from a lack of resources given to the agency that helped produce it. Perhaps there simply wasn’t enough time and money to shoot a decent commercial. 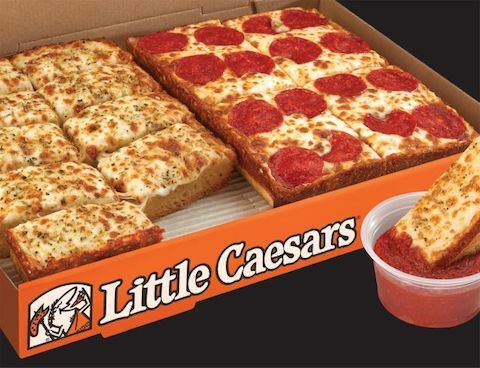 Either way, most of Little Caesars’ competitors — Dominos, Pizza Patrón, Pizza Hut — are doing things much better. Their communication is clear, they have an objective and they execute it. It’s debatable how creative those other commercials are, but at least their messages are clear. Keep in mind, pizza might have been perfected by the Italians, but it’s been a staple product of the Hispanic basket for decades. Hispanic families buy pizza about two times per week, so it’s particularly important for pizza brands to engage in effective communication that’s tailored specifically for the Hispanic market. That means, at a minimum, hiring Spanish speakers to narrate commercials and agencies with Hispanic marketing expertise to guide the process. We often don’t always have enough time and resources to create perfect advertising campaigns. But we at least must ensure they are accurate and culturally respectful — and this Little Caesars effort falls far short.